The Life I Left Behind had me hooked right from the beginning. It starts with one of my biggest fears, that of finding somebody dead whilst out walking. The whole of the novel is told from three women’s point of view. The police officer Victoria, who is investigating the murder of Eve and consequently looking into the assault on Melody. Then there is Melody whose life has never been the same since the attack on her, and finally Eve. Eve is the women whose body was found, and her story about how she got there is fascinating. She was a journalist who started investigating the sentence against the man who attacked Melody and whether he was wrongly accused. I found Melody hard to engage with at first. I think this was mainly due to her relationship with very controlling Sam who seemed to manipulate the way she was left after the attack. But as I got more into her story I liked her very much. And hated him more by the page. Victoria was determined to get to the truth regarding the two cases. Even if it means upsetting her superior who investigated the original case. Very much a minor character compared to the other two who dominated the story. 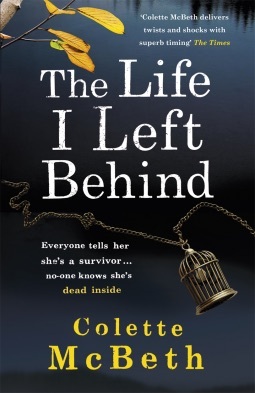 I loved Eve, her humour, compassion and her determination to get the true story from Melody’s ordeal was fantastic to read. She was a delight and I loved getting to ‘know’ her. This novel is easily one of my top ten books of the year. Highly recommended, especially if you like something that little bit different. 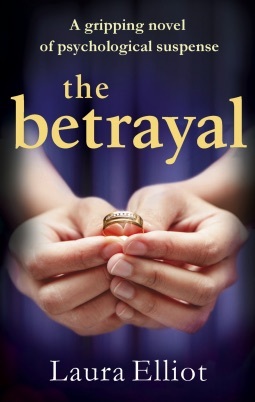 The Betrayal by Laura Elliot features a normal family in Ireland. Nadine and Jake were forced into a teenage marriage by pregnancy, had four children and run their own business. The children are now all adults and are following their individual dreams. The business has been badly hit by the recession and Nadine is getting cold feet about its future and their marriage. When she drops Jake off at the airport she sees a face from the past, one that she wishes she would never see again. Karin used to be her best friend when they were at school but something happened on a holiday that destroyed their friendship and Nadine’s life was left in tatters. Karin is a dangerous person and not at all likeable. Nadine wasn’t the only one who suffered through her actions, both in the flashbacks and in life now. She was very manipulative and would stop at nothing to get what she wanted. There were quite a few times throughout the tale that I felt on edge, not knowing what she would do next. The tension that all the characters, especially Jake felt was very convincing. I did guess at how it would end but didn’t see the full reasons why and one part I got completely wrong. This is the third novel I have read by this author and my favourite one so far. I found it to be a novel that was very easy to read, very addictive and I loved the way that Ireland and Alaska were described. A great read, especially for a holiday. It is one that you could quite easily read in one sitting. An ex policeman goes missing and blood traces are found in his home. Whilst trying to find him, another body, that of a young woman is found in a tomb. The two case appear to be linked but due to legal restrictions the police are limited in their investigation. The novel is gripping and fast paced. Jane, the lead detective is under immense pressure. She is friends with Mark, the detective who is missing, is trying to solve the murder of the young women and guilt over not being able to spend more time with her young son. Lockyer is a mess from the previous case but has to get more involved when the investigation takes a different turn. I really liked this novel. I haven’t read the previous book Never Look Back and even though the story was hinted at nothing was revealed. 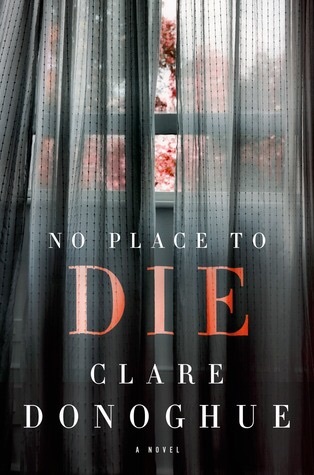 Clare Donoghue is an author I would read again starting with the first in this series. When you don’t like being under water, not at your most comfortable in the dark and really don’t like enclosed spaces Tenacity was always to be a read that was a little bit uncomfortable. 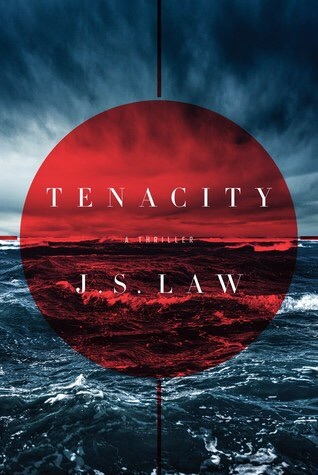 Dan has to investigate a suicide/murder and due to circumstances has to do so from the submarine called Tenacity. She isn’t happy with her surroundings, problems she has had previously are affecting her judgement and she is receiving horrendous treatment from some of the naval crew. Parts of the novel I found quite difficult to read, one scene in particular stayed with me for quite a while. 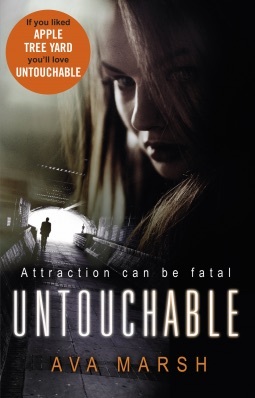 I understand that this book could be the first in a series and I am looking to forward to getting to know more about Dan and her team in future novels.